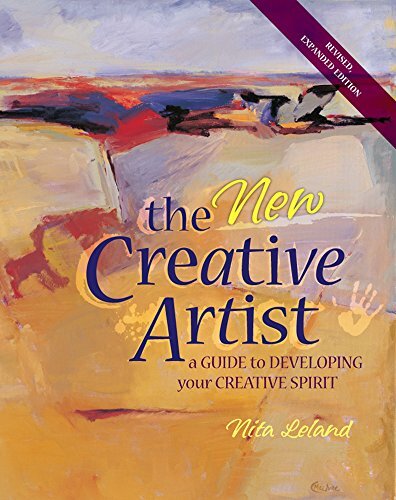 The New Creative Artist is book of ideas and inspiration written for anyone who wants to be more creative in their artistic endeavours. This is the second book I have that's written by artist and teacher Nita Leland. The first book was Confident Color: An Artist's Guide To Harmony, Contrast And Unity and is something that I still refer to occasionally. I can see myself going back to The New Creative Artist in the future as well. It's a wonderfully written reference. The book is filled with plenty of ideas on what you can draw, exercises to do to get into creative thinking and drawing, inspiration and examples from other artists. You can flip to any page and get something out of it, or re-read it to try the exercises to recharge yourself every once in a while. In addition to the many hands-on exercises suggested, there are also more thought provoking discussions on art, like fine art vs commercial, art vs craft, and the book also covers basic fundamentals of art and design, things like composition, balance, contrast, etc. Every page in this 176-page spiral bound book is filled with information and insight.